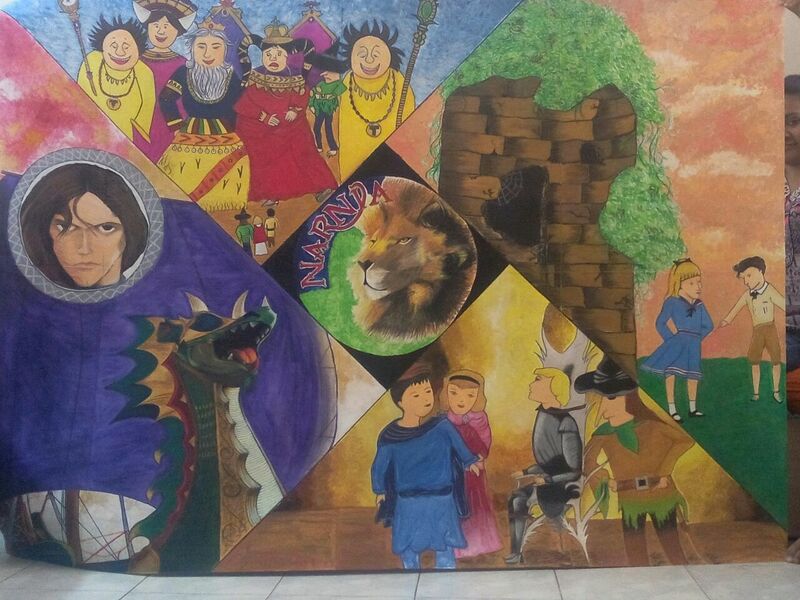 The mural created by the students of St. Mark’s Girls sr.sec. 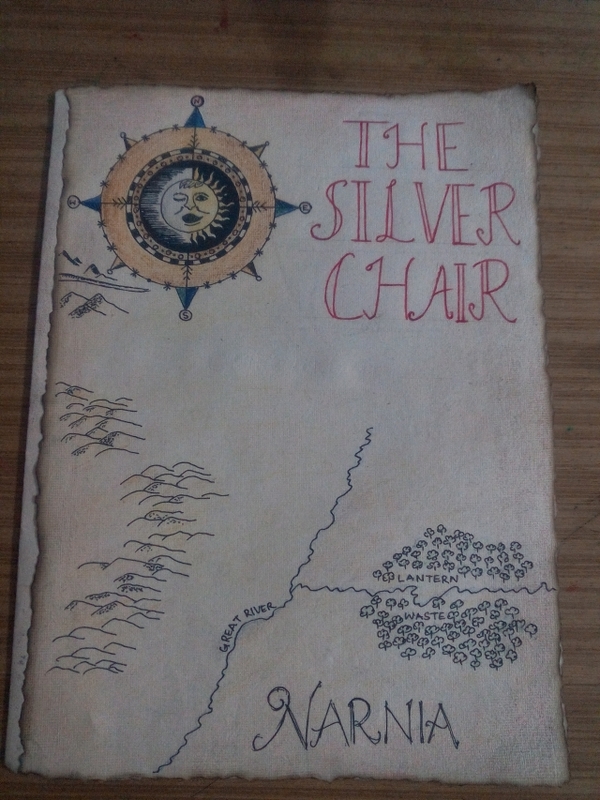 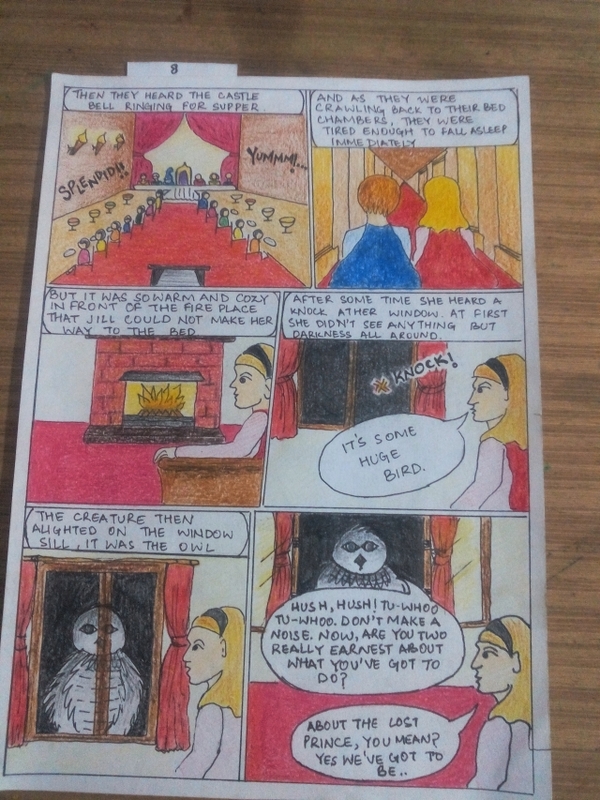 school on the novel The Silver Chair. 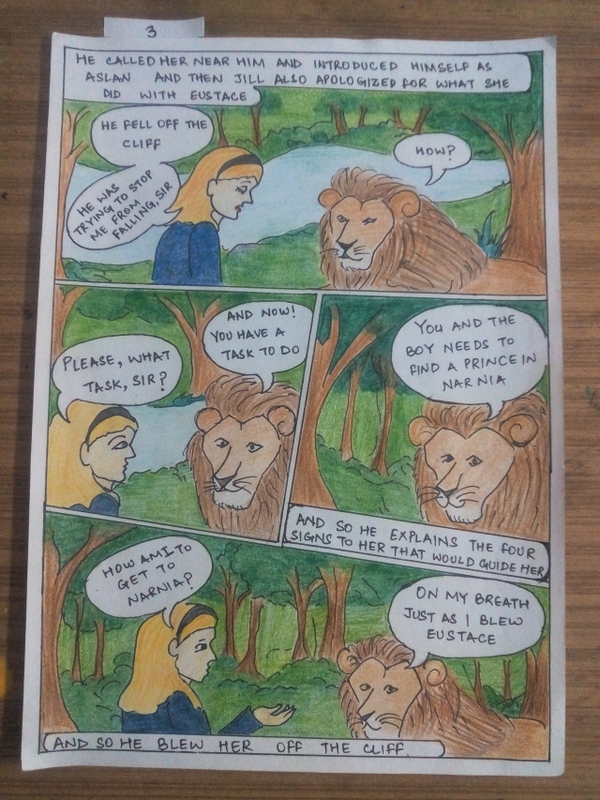 It is divided into four parts with Aslan in the centre. 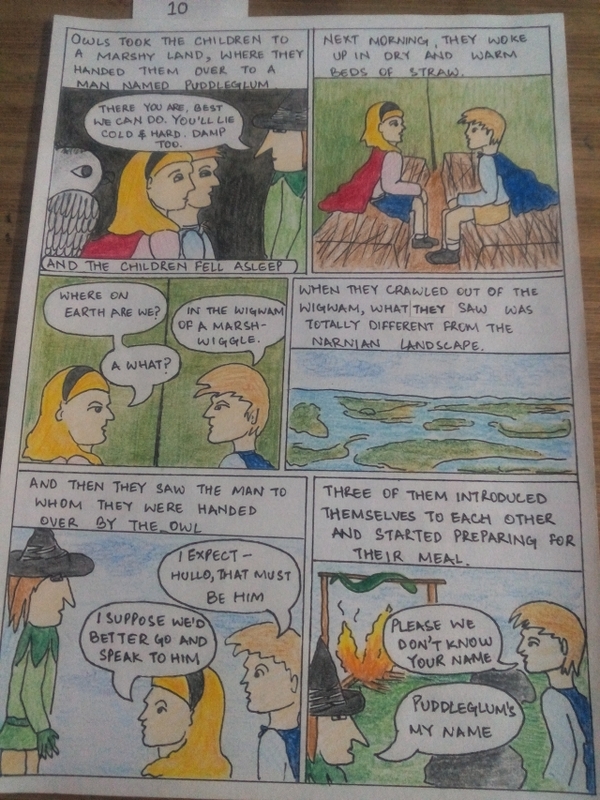 As the story mostly revolves around the four tasks that was given to Jill and Eustace to find the long lost prince. 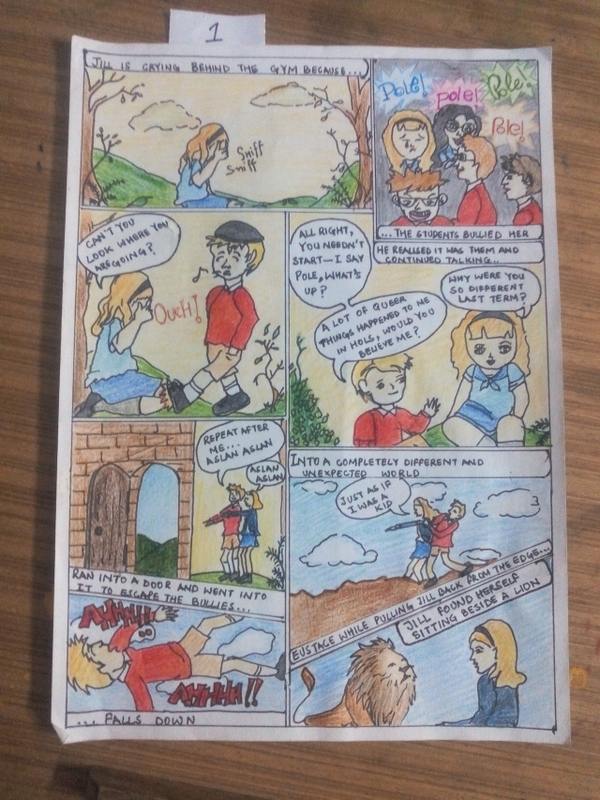 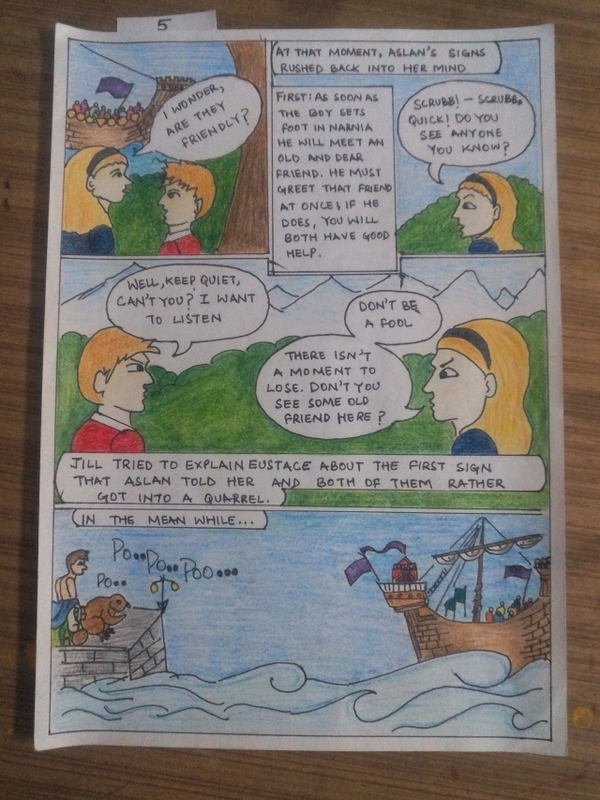 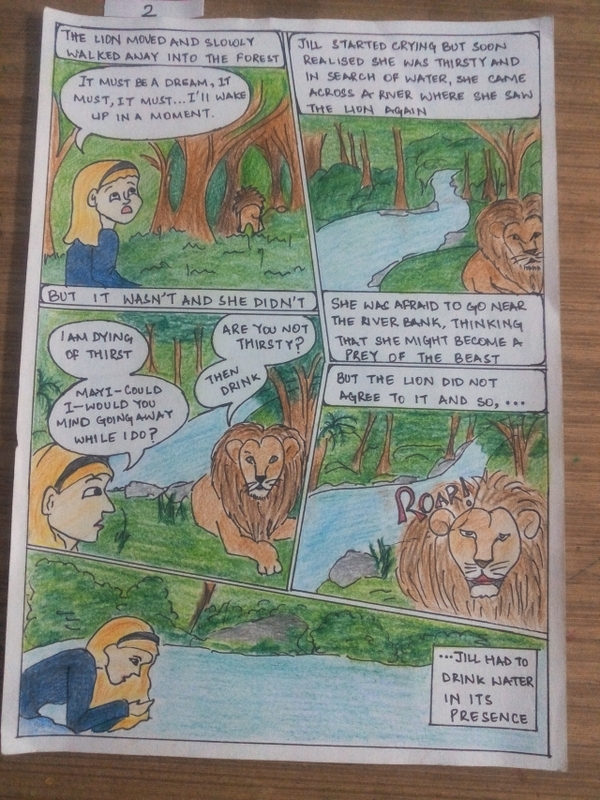 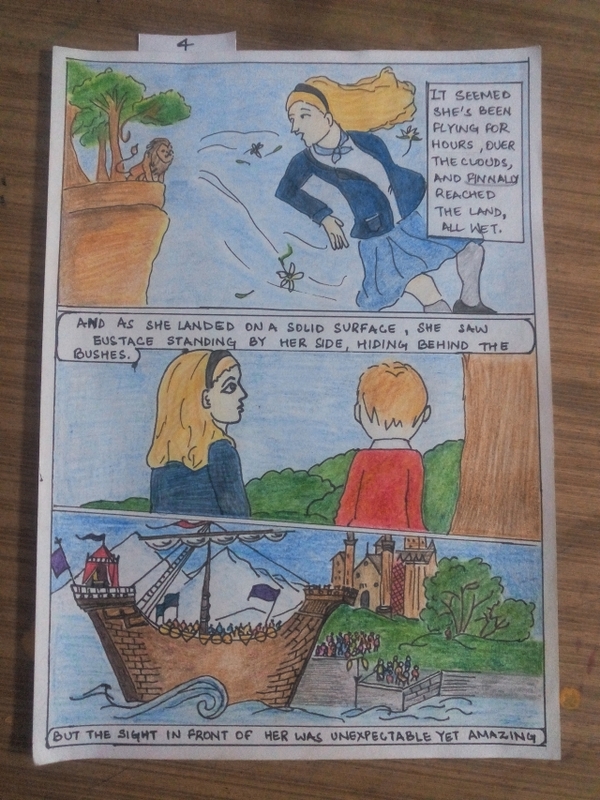 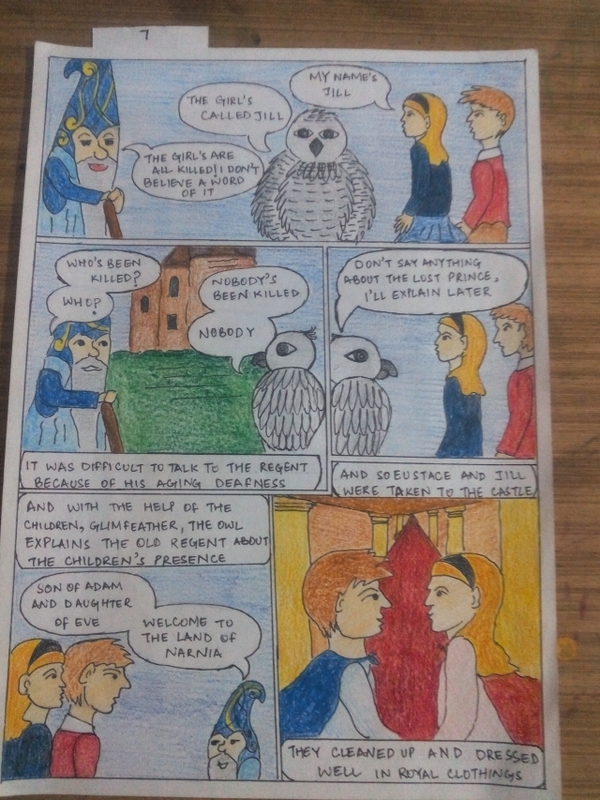 The first part depicts the ship of Prince Caspian as Eustace was told that he will have to greet his old friend (Prince Caspian) then only he will be able to receive help from him for their quest. 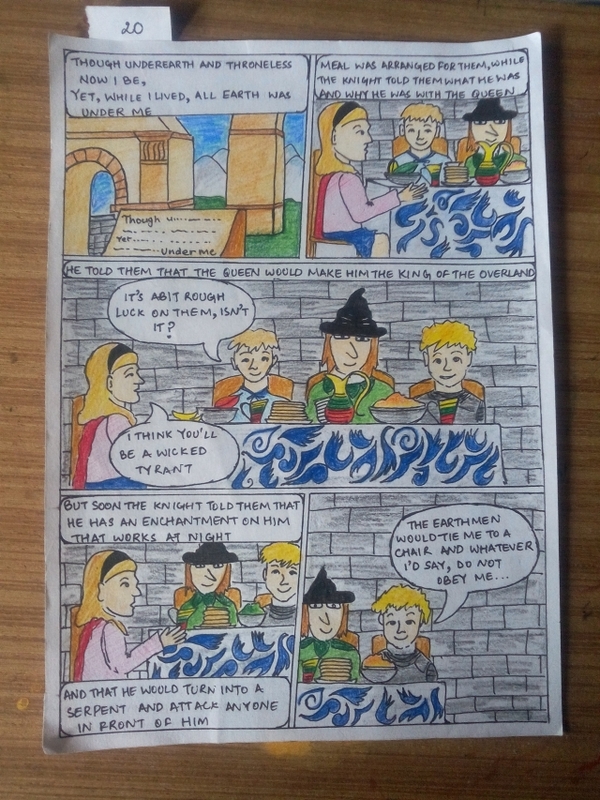 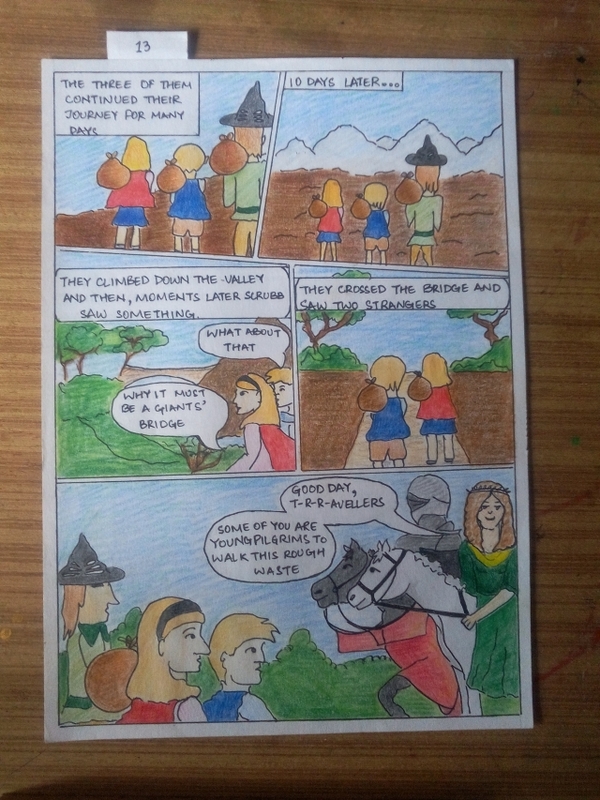 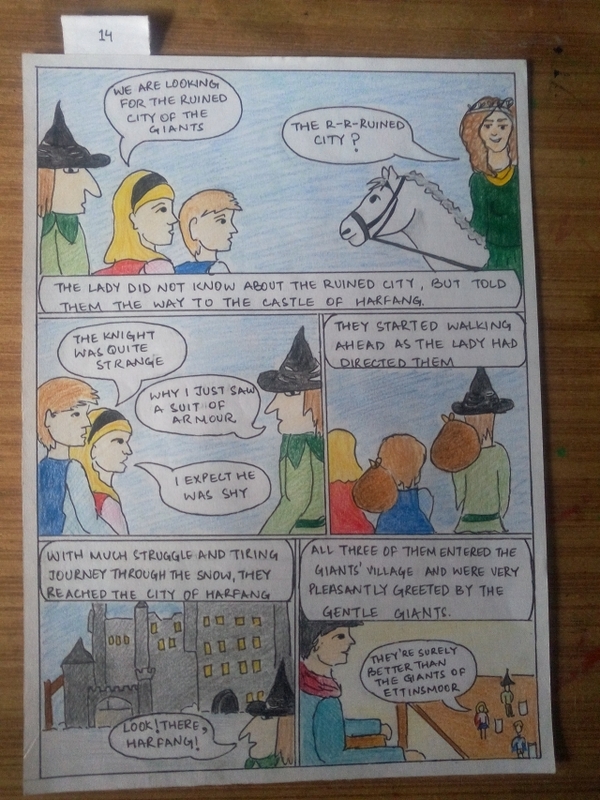 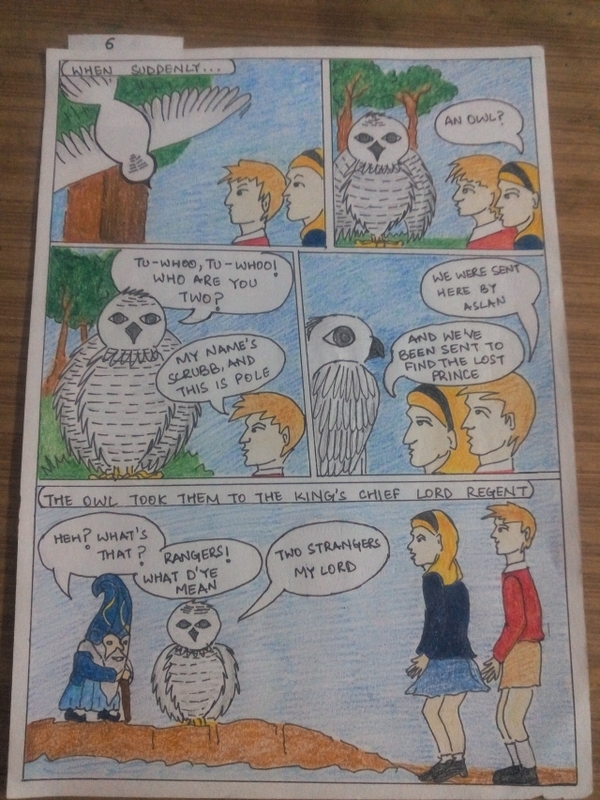 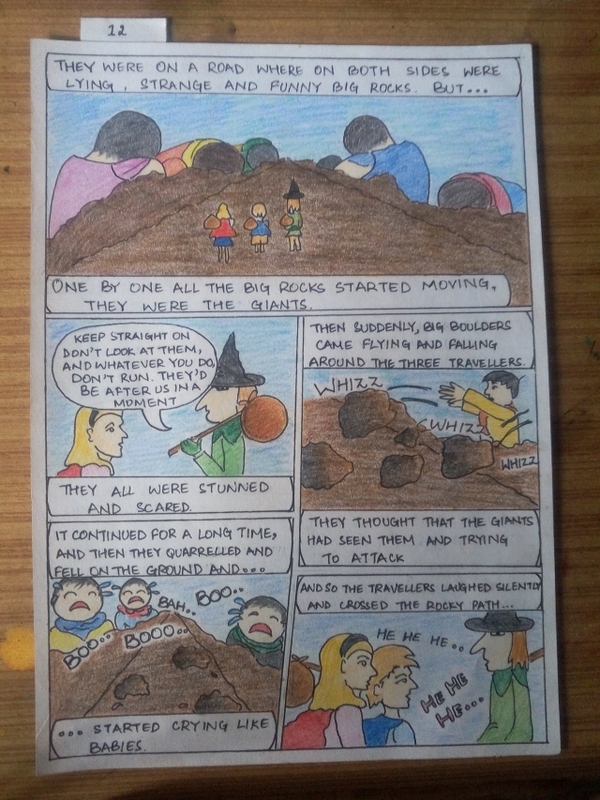 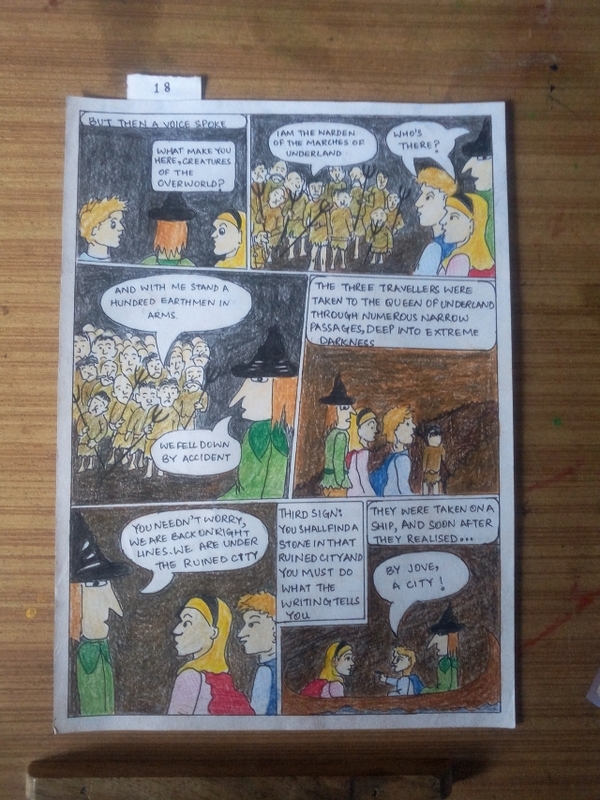 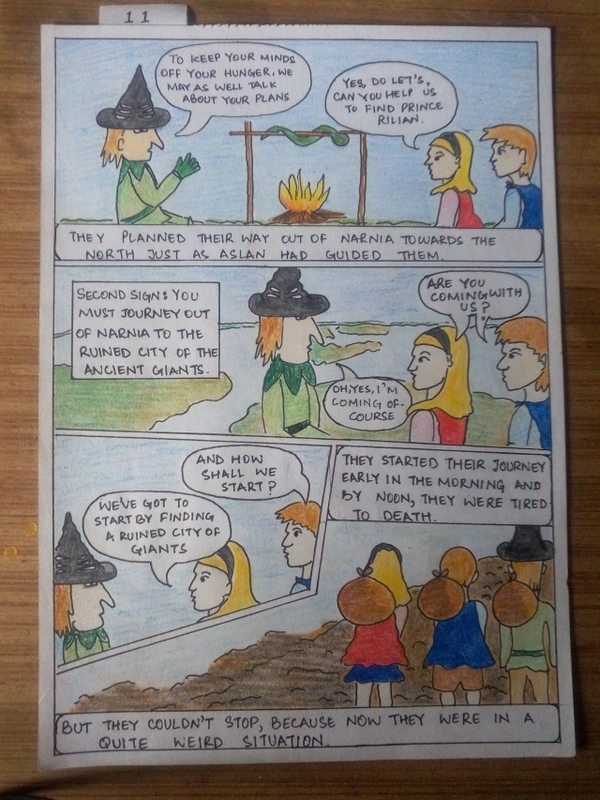 The second part depicts their journey to the giants’ lands where Puddleglum guides them.There Jill(Pole), Eustace (Scrubb), and Puddleglum are asked to visit Harfang, where ‘Gentle Giants’ live and would get a place to rest. 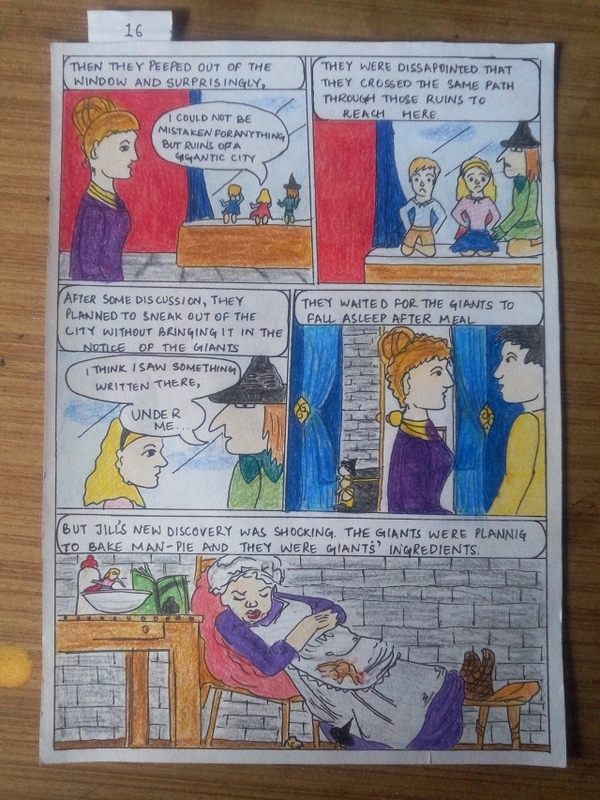 The third part depicts the ruined city where they find a writing on a stone and had to do what the writing told them to. 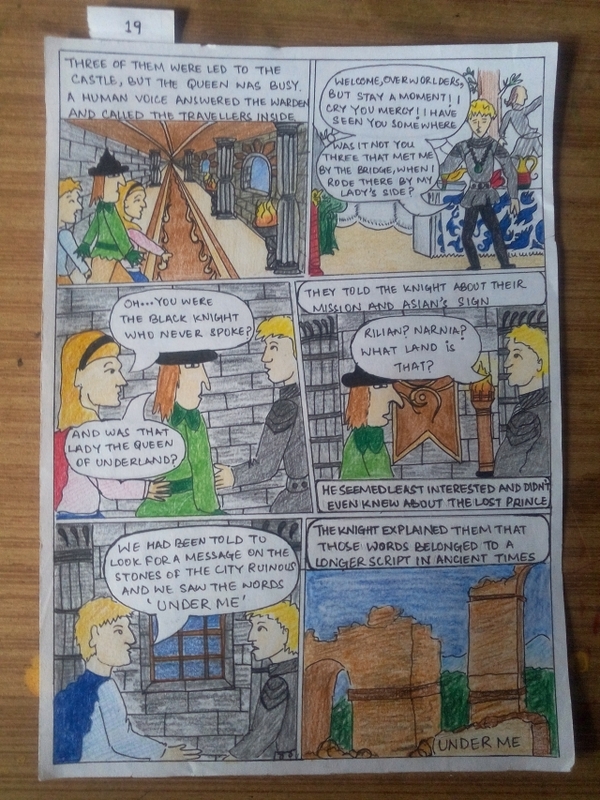 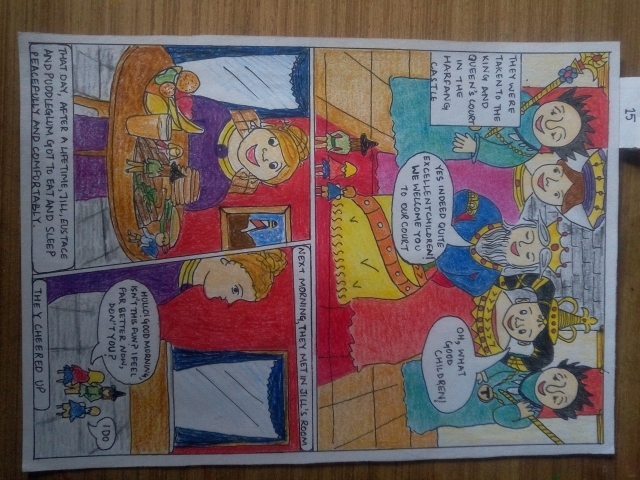 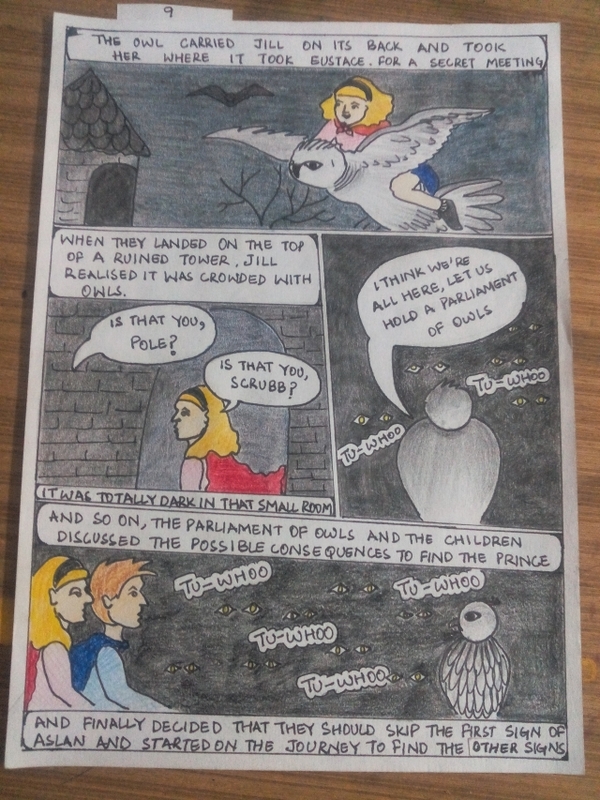 The fourth part depicts Prince Rilian tied to the the silver chair at the castle of the Queen of Underland. 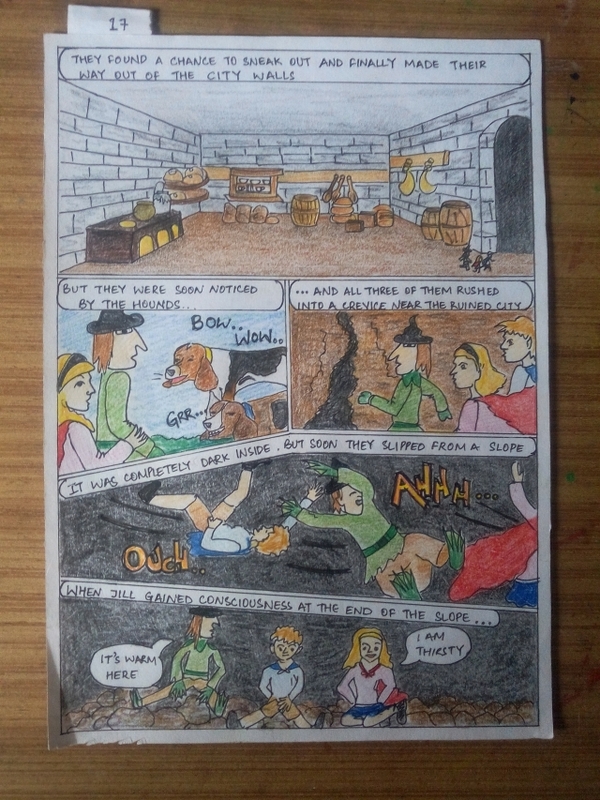 The children and Puddleglum thus save the Prince and return to the castle of Prince Caspian.